Gifts made towards our funds make a significant difference in our ability to operate our 9,000 square foot facility in Ballard/Crown Hill, continue a wide variety of artistic, educational, and outreach programs that serve approximately 15,000 individuals in our community each year. Please consider your tax-deductible donation TODAY and JOIN OUR COMMUNITY! Your tax-deductible donation works towards the continuation of ARC Dance Productions in our community. Without ARC Dance Productions, our education programs, facility, and performance opportunities would not exist. This fund provides the following: Arc Youth Dance Company and Arc School of Ballet’s performance opportunities, ARC Dance Company’s daily operations of our facility, theater costs, professional dancers, costumes, choreographers, musicians, sets, staff, marketing, and theater supplies. It is only through the dedication and support of our Sustain Support donors that we can continue to bring the unparalleled education, quality of our artists, and passion of our art form to our community. This is the general fund for students attending the Children’s, Student’s, and Summer Dance programs. The fund has helped reduce tuition costs for over 128 dancers wishing to train at ARC since 2005. 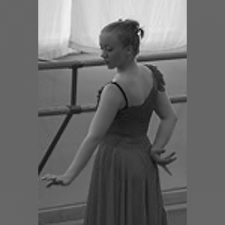 Prior to her diagnosis of Leukemia in July of 2006, Julia Harig was preparing to begin her advanced dance training in the Academy program at ARC. 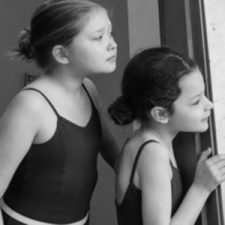 Julia studied with Marie Chong (ARC Director) for several years and had become a central figure at Arc School of Ballet as both a dancer and a teacher. Julia Harig (1985-2007) was an ARC angel. She loved to dance, and her talent and loving spirit were contagious. She generated love, fun, giggles, and joy-filled dancing; echoes of her laughter still fill the studios today. Julia’s fight with cancer ended on April 5, 2007. The ARC Dance Julia Harig Fund was created to honor her talent and passion for dance and her love of life. The Fund provides tuition scholarships to professional-bound dancers in the Academy program at Arc School of Ballet. Please help sustain the lasting legacy of Julia Harig by making a gift to the fund that bears her name.